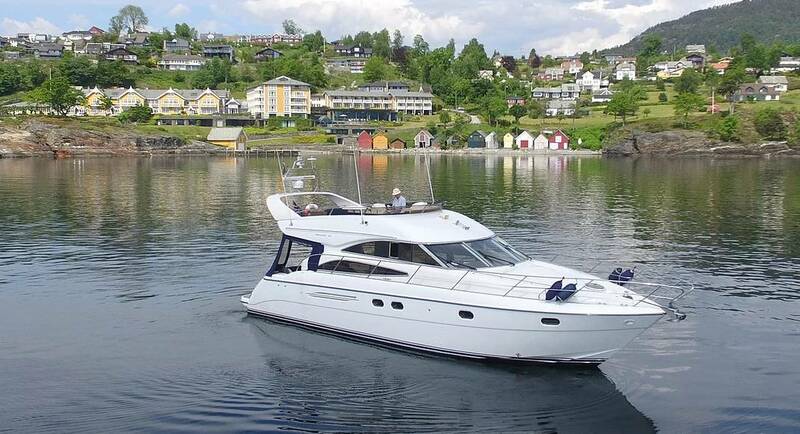 M/Y Iselina Bella bring you on a lovely fjord cruise on the Hardanger Fjord, including Bergen. 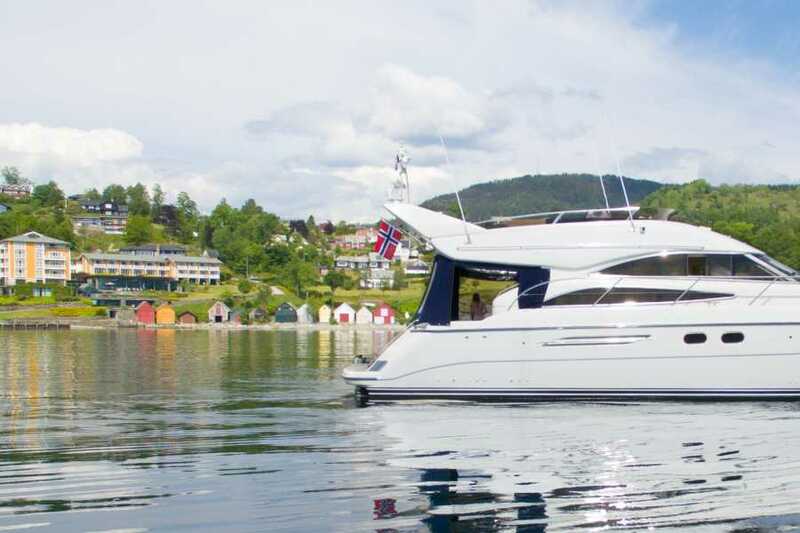 The yacht has a great lounge, to large cabins with queen size bed, one cabin with bunk bed, two bathrooms, panoramic flybridge, and galley for cooking. 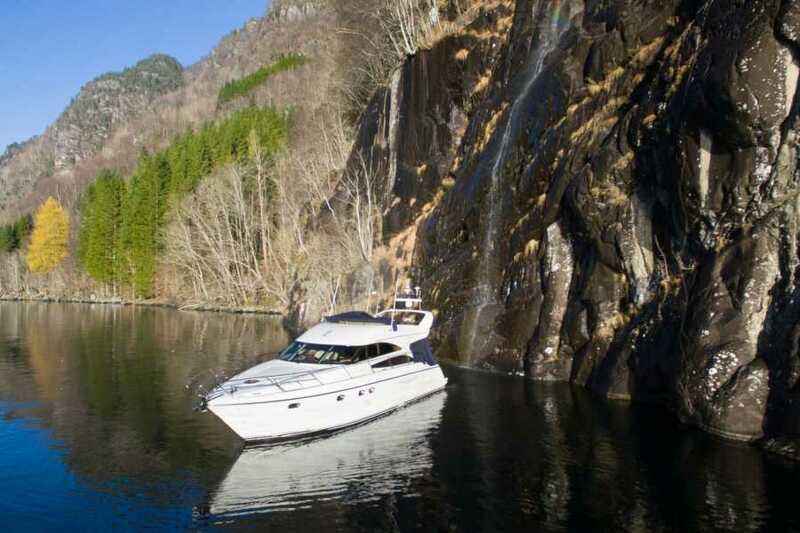 We are local, and know the fjord areas well, and bring you and your family to the best places along the narrow and remote fjords. We have suggestions for great trips, or take you where you want to go- from some hours to several days. 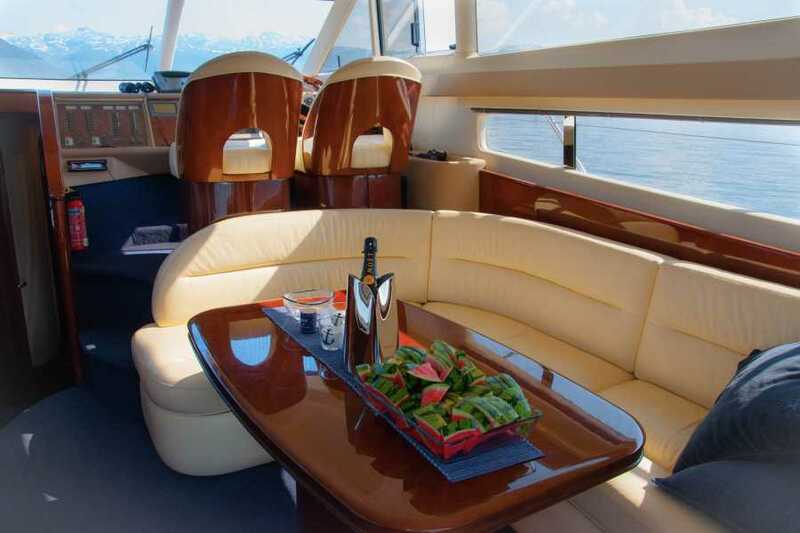 Guest can also overnight in the boat, if you choose to go for a several day cruise in our Princess 50. 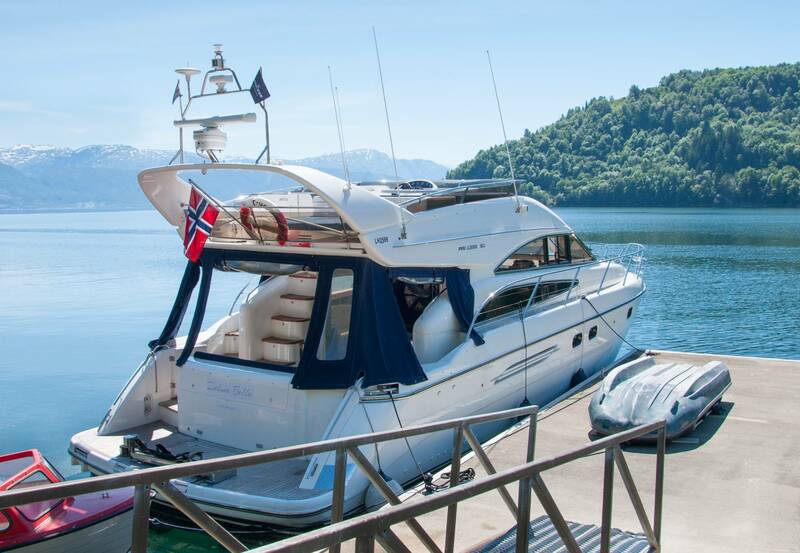 Hardanger Fjord AS operates M/Y Iselina Bella, from our base in Jondal in Hardanger. 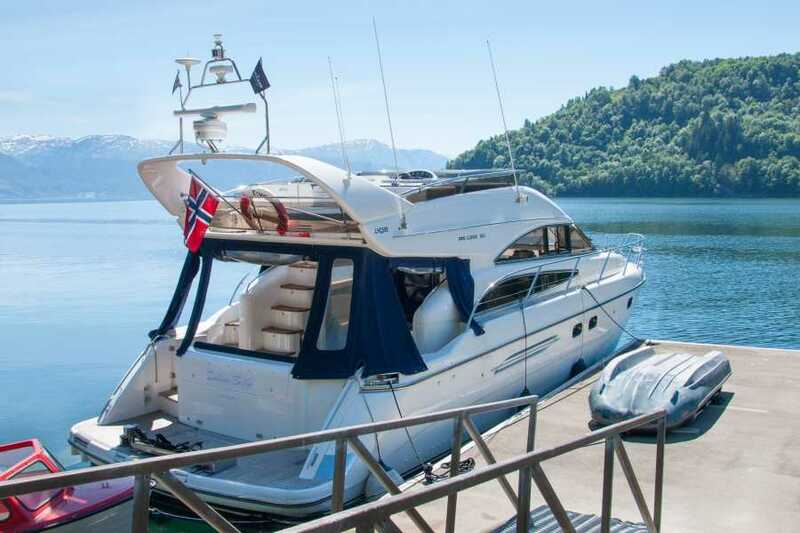 The yacht is certified for 12 passengers, and do individual trips in the area Hardanger Fjord, Bergen - Solstrand - Rosendal - Jondal - Ullensvang - Eidfjord - Ulvik - Odda. 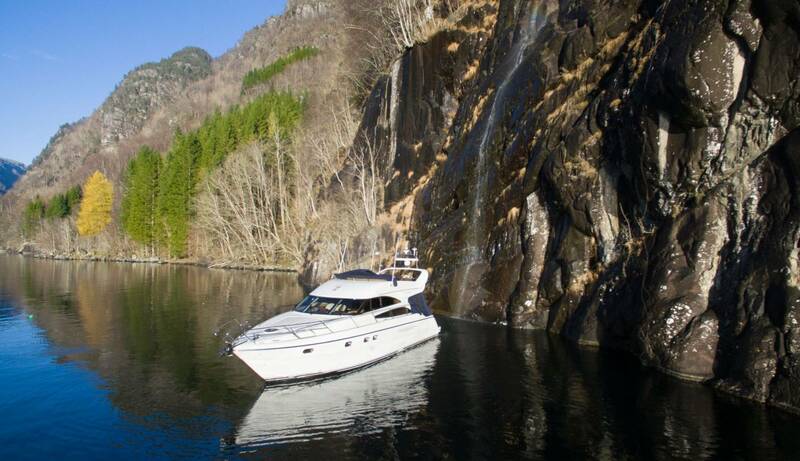 The Hardangerfjord is one of the most visited areas in Norway, and this boat is the best possibility to get close to and experience the fjord. 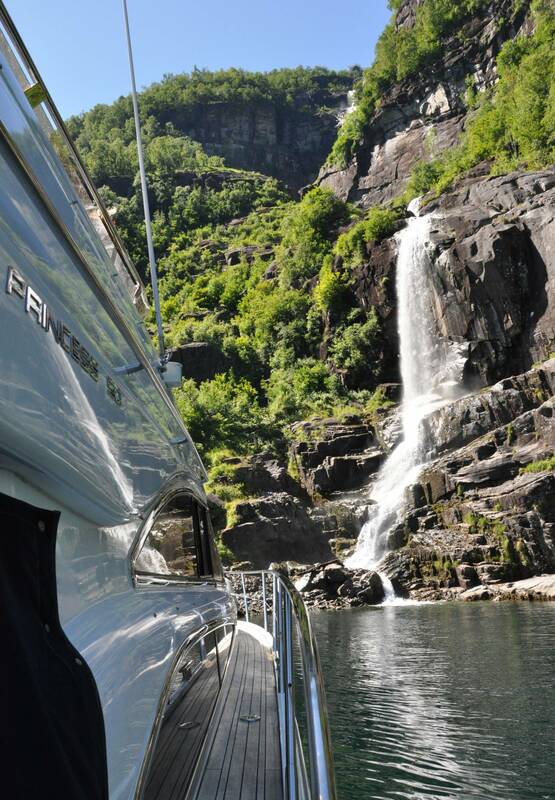 Narrow fjords only accessible with boat, with small waterfalls directly down to the sea and boat is a lifetime experience, on a great summer day this is a great view from our panoramic flybridge or fore-deck. You can touch the waterfal if you want to. All trips are tailor made from where you are and where you want to go. 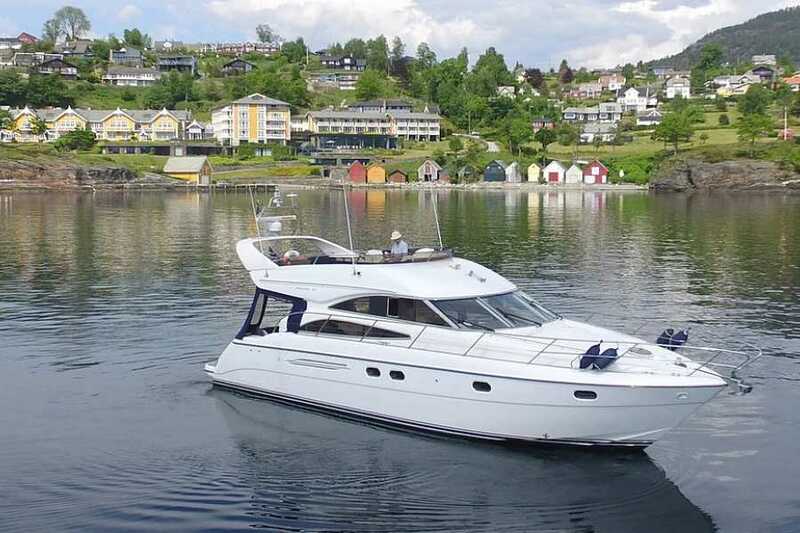 A popular trip is between the airport or city center in Bergen, to your hotel in Hardanger. We give you a comfortable and calm travel instead of car, and can either serve lunch onboard, or stop at a nice restaurant next to the fjord along the route. We can also make a stop at attractions such as Baroniet in Rosendal, waterfalls, Folgefonna glacier or whatever you want to see. 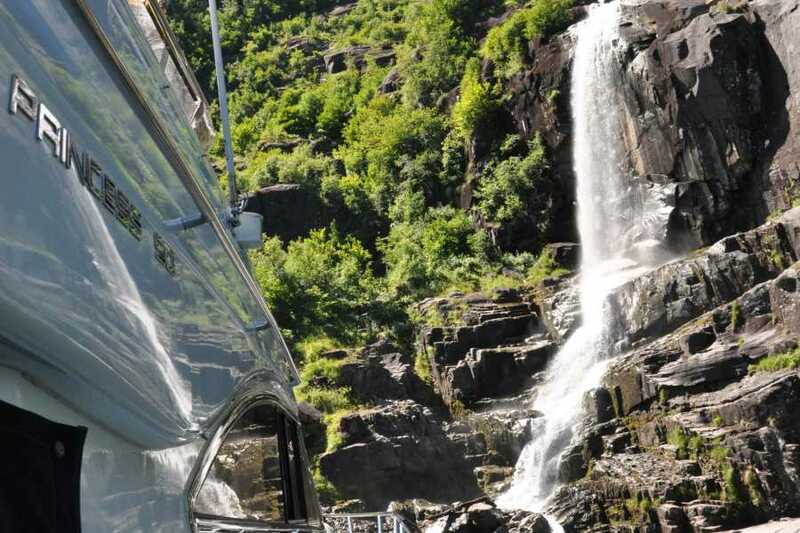 Another option is just a afternoon trip on the fjord, to relax with some nice view and fresh sea-air, or to visit a narrow fjord with a waterfall. 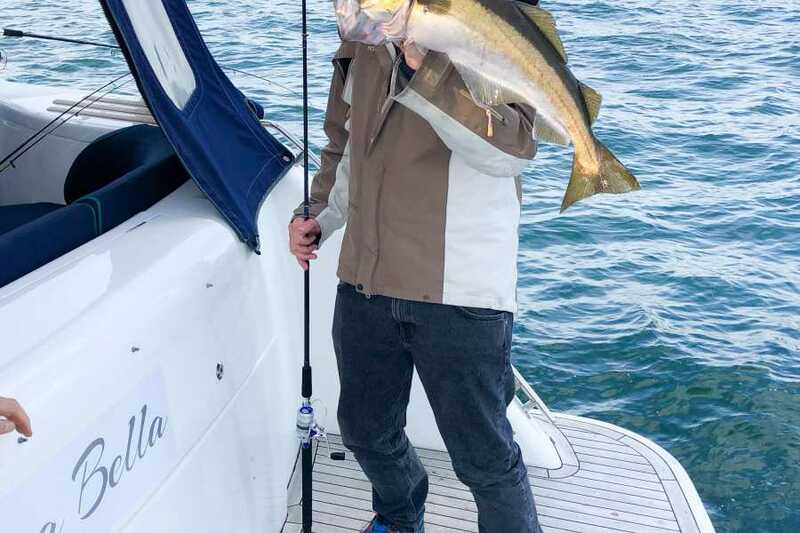 We also do fishing trips, and have equipment for this. The whole of the Hardanger region is our home area, and we are never far away. Trisp usually last about 4 hours, but this is up to you. We can also wait for you if you want to go ashore for a trip or experience, before we bring you back to your hotel, or proceed further. We always have fresh coffee, tea, snacks and local fruit and berries onboard for you. Further refreshments available on requests. 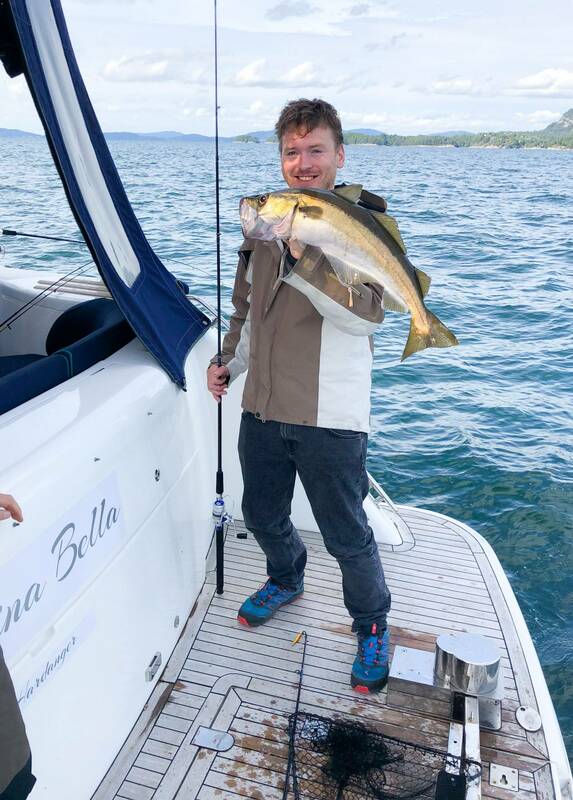 Lunch onboard is possible, we use hotels or restaurants along the fjord as catering partner, and get the food onboard and serve you. A great trip + lunch, 2-in-1. 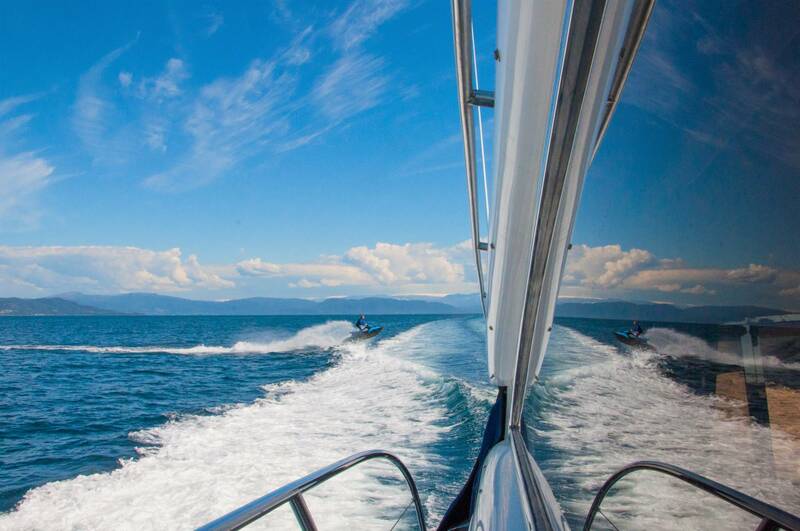 We guarantee a good mood onboard, and make sure you`ll have a great trip. The trip starts wherever you wish, and end anywhere you want to go. Our base is in Jondal, Hardanger Fjord.